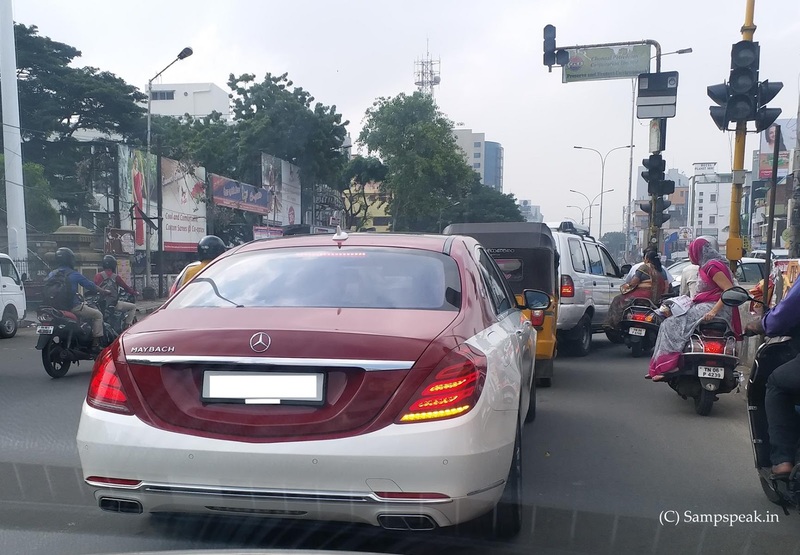 "Sampath Speaking" - the thoughts of an Insurer from Thiruvallikkeni: Maybach on road ... some history of Mercedes !! This morning as I was waiting to take U-turn near Ramee Mall, this luxury car attracted me – somehow, I felt that the auto and the other cargo vehicle were uncomfortably close and could harm the car in some manner .. ! ~ I have not seen this earlier – it was ‘Mercedes Maybach’ (pronounced MY-bock). Life has changed – in cities, car themselves are no longer luxuries though there are many luxury models. Often people would say, they have better technology and give better comfort ! - is it comfort of driving or comfort for those who travel inside it ? – is that simply the brand, image, emblem, exhibition of style, leather, upholstery or something of a technological marvel that lifts up customer experience ? is that simply something to do with keys (or the lakh of it), anti-theft features, larger touchscreens, preventative safety tech and an array of cameras. I do not have an answer. Mercedes-Benz itself is a luxury brand and a couple of years back it launched its most expensive car for the Indian market - the Maybach S600 Guard, priced at ₹ 10.50 crore (ex-showroom Delhi). It is the third car from the Stuttgart-based carmaker to come barring the Maybach badging and is also the second armoured S-Class to join the Mercedes-Benz India line-up. The key specialty of Mercedes-Maybach S600 Guard is - it is the only armoured car in the country that has with VR10 protection. This means the car can not only withstand bullets, but also protect its incumbents from blasts, rocket-propelled grenades, explosives, fires and even heavy sniper firing. As for the inside of the car, it gets re-positioned rear seats that allow passengers to sit further back in the sedan. The windows come with polycarbonate coating and the car's under body armouring protects the vehicle from explosive devices that could possibly go off beneath it. Moreover, the cabin is specially designed for protection against gas attacks by injecting fresh air in the event of an attack. Additional equipment found in the S600 Guard includes opaque roller blinds all-round in the rear, heated windscreen and side windows, easily operated panic alarm system, fire extinguisher system with automatic activation, and hydraulic power for heavy side windows. Maybach Motorenbau is a defunct German car manufacturer that today exists as a sub-brand of Mercedes-Benz. The company was founded in 1909 by Wilhelm Maybach and his son, originally a subsidiary of Luftschiffbau Zeppelin GmbH and was itself known as Luftfahrzeug-Motorenbau GmbH until 1912. In 1960s Maybach was acquired by Daimler-Benz. Daimler currently produces an ultra-luxury edition of the Mercedes-Benz S-Classunder the Mercedes-Maybach brand. Wilhelm Maybach (1846 -1929) was an early German engine designer and industrialist. During the 1890s he was hailed in France, then the world centre for car production, as the "King of Designers".From the late 19th century Wilhelm Maybach, together with Gottlieb Daimler, developed light, high-speed internal combustion engines suitable for land, water, and air use. These were fitted to the world's first motorcycle, motorboat, and after Daimler's death, a new automobile introduced in late 1902, the Mercedes model, built to the specifications of Emil Jellinek. Maybach rose to become technical director of the Daimler MotorenGesellschaft (DMG) but did not get on well with its chairmen. As a result, Maybach left DMG in 1907 to found Maybach-Motorenbau GmbH together with his son Karl in 1909. In 2002 the Maybach brand name was revived for a luxury make but it was not successful. 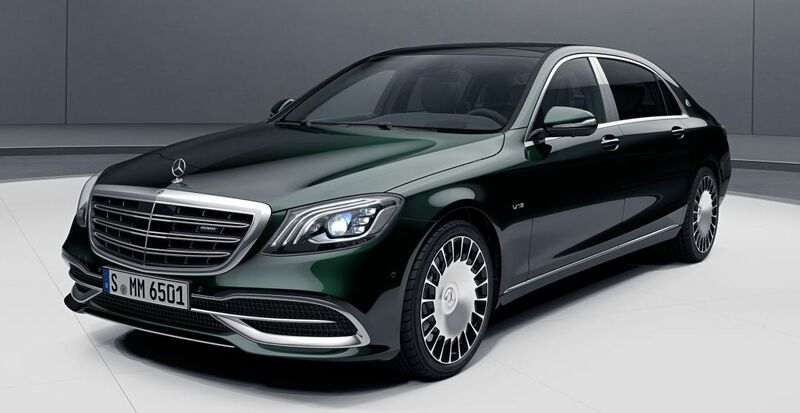 The car manufacturer’s web site claims that the new Mercedes-Maybach S-Class Saloon defines the pinnacle of luxurious motoring.It combines traditional elegance with state-of-the-art comfort. Its stately appearance underscores this premise from every angle. The outstanding capability of this vehicle is already noticeable at first sight. The "Maybach" lettering on the striking front featuring the clearly drawnmultibeamLED headlamps define a claim that is verified by the powerful and elegant outline as well as sophisticated chrome elements. In the interior there is an ample feeling of spaciousness and an architecture that simultaneously serves as a multifunctional working environment and exclusive lounge. Be it during rush hour, a long drive at night or on unfamiliar routes – your Mercedes-Maybach S-Class Saloon noticeably relieves the hassle, particularly in stressful situations. This is based on a concept that makes every journey in a Mercedes-Benz safe and unique: Mercedes-Benz Intelligent Drive. Because the time you spend behind the wheel is your time. Time for relaxation. Time to replenish your energy. So that, first and foremost, you reach your destination safely, but are also always relaxed when you get there.!! One may not be interested in its technical specs as it is most unlikely that we may ever get to travel in it .. it comes only in Petrol version and has automatic transmission – and certainly none of its owners would ever think of daily variation in the price of petrol !